Have you ever thought about establishing business credit though long-term financing? GreatBiz can be an answer to all your problems no matter you own a small business. An SBA loan can help you improve your business credit score and it is definitely a strong demonstration of your ability to pay back the loan. Building business credit can be quite complex and that is the reason why we chose to write about it so you can easily understand it in order to achieve your financial goals. A good financial background would guarantee your business registration and its listing in official business directories. A business registration includes your business’s official name, address, phone number, and an official bank account. It is a necessity for building credit to have a great relationship with your supplier, vendors, and all the other stakeholders involved in your business. Proper trade-lines instead of upfront payments would help you to manage your finances in a better way. If your suppliers are reporting to credit bureaus and you are repaying all the charges properly would uplift your business credit. This idea wouldn’t seem new to you if you’ve ever dealt with personal credit. 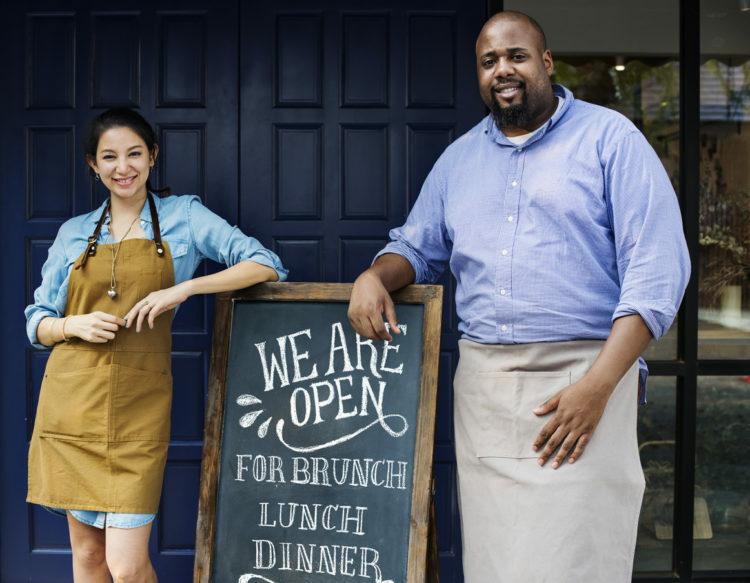 One of the most important things you require for establishing business credit for your small business is an Employer Identification Number (EIN). It is also known as a Federal Tax Identification Number, and it is a unique number given by IRS and it would be visible on your tax forms. EIN helps your business to be legitimate in the eyes of other stakeholders even if you are not working with any employee, for example, if you are a sole proprietor or a partner. This identification number would be really helpful when you are applying for business credit and it can be a replacement of your social security number. In this case, even if your business is not doing really good it won’t impact your personal credit score. Data Universal Number System (DUNS) is another identification number which is managed by Dun & Bradstreet, a well-known credit reporting agency instead of the government. If you’ve got a DUNS applying for a sba loan would become extremely easier as this agency is one of the major organizations forecasting financial stability of various businesses. There are multiple options including business credit cards, term loans, and lines of credit to improve your business credit. Achieving higher business credit isn’t difficult if you are paying back early or on time, and using your funds carefully. Staying on track with your business financing would impact your business in a positive way and you will have more time to think about different ways to repay and how often you will be charged. An SBA loan from GreatBiz can be quite helpful to help you in growing your business even if you are starting fresh in the market. You can also get a secured credit card even if you are not applying for any kind of funding and you can fix the spending limit by your own deposit. GreatBiz can assist you in a better way if you are using secured credit cards and you can get quite a handful of working capital along with having a lower business debt. Getting official recognition from credit bureaus is quite vital for proving yourself as a trusted borrower and in order to achieve this recognition you need to work with lenders who would report your payment history to credit bureaus. This is a great way to qualify for business loans with the best terms and lowest rates. Almost all the banks and financial institutions report about their borrowers’ payment to all the three major credit bureaus, but some lenders don’t. Try to avoid working with such lenders, and ask questions before applying so that you don’t agree to some unknown financial policies and harm your business unknowingly. No matter you are dealing with Dun & Bradstreet, Equifax, or Experian, they all have their own system used by lenders to get your business credit score. It means that you are responsible for maintaining your business information updated on every platform your business is listed. Try to be as descriptive as possible so the viewer doesn’t have any confusion or concerns when they try to get to know about your business. 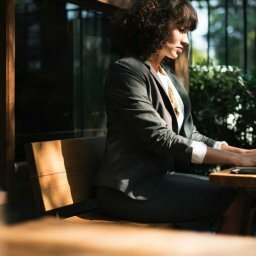 If you are interested in knowing more about improving your business score, you can visit our blog section. 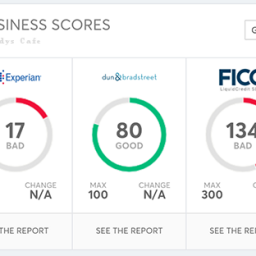 One of the best blogs to read would be Do You Know Your SBSS FICO Business Credit Score? whether you own a major organization or a small business. It will also help you to increase your knowledge regarding sba loans, small business loans, and sba 504 loans. If you want to educate yourself regarding business credit scores and how lenders access various businesses along with different factors involved with SBA loan application, our team can be a great assistance to you. You can start your journey for applying for an SBA loan here as we are always ready to help you.